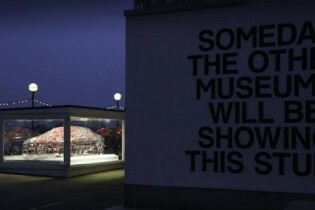 This Jaguar word cloud sculpture was revealed last Friday on the waterfront outside London’s Design Museum. Formed around the sleek shape of the new Jaguar XE sports saloon, the sculpture celebrates the car’s global reveal and will be on display throughout the London Design Festival until October 6th. The sculpture represents an emotional and aesthetic response to the new XE and consists of precision cut aluminium lettering depicting 95 words in 7 languages. Constructed in our workshops, the words – in Mandarin and Russian, as well as five European languages – have been moulded around the subtle contours and dynamic curves of the new car, even evoking the apparent weightlessness of a cloud by appearing to be self-supporting. 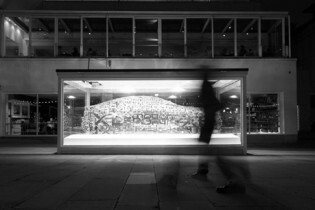 A second word cloud sculpture was installed outside Earls Court for the high profile Jaguar XE launch.